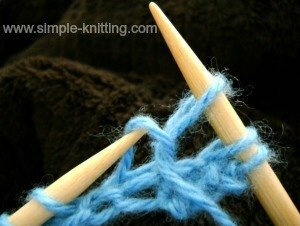 Learning how to purl stitches is really simple to do. 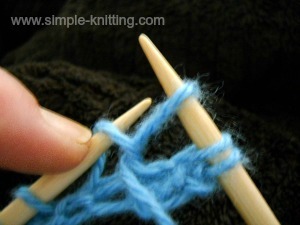 And if you've been practicing the knit stitch for awhile then you're ready for purling too. Besides these two stitches go together like bread and butter. The best part is, once you know how to knit and purl you can make practically anything. And the stitch patterns you can create are endless and so pretty. 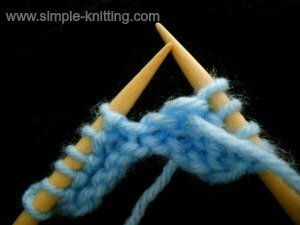 Think of purl stitching as the opposite to the knit stitch. 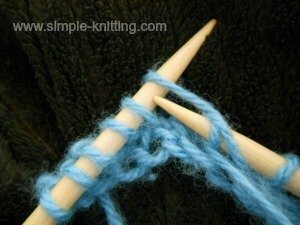 You still hold your knitting needles the same way however you will hold the yarn in front of your knitting needle as you purl the stitches. 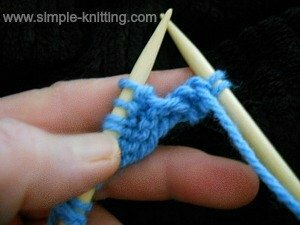 Even though knitting purl stitches is easy to do it will feel a little awkward to work at first but you'll get used to it as you practice. 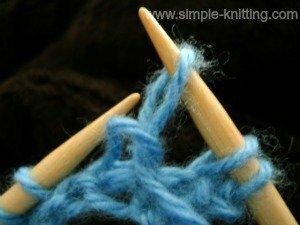 Purl stitches tend to get looser so just give them a little tug when you are finished working the stitch or hold your yarn a little tighter. Before you even begin to knit the purl stitch make sure you place the working yarn in front of your work. Insert the right needle down into the first loop on the left needle starting from the top and then move it up a little bit to catch that first loop. 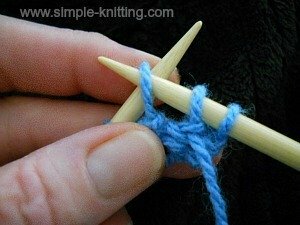 Then take the working yarn and wrap it around right needle counterclockwise. Snug it up a bit. 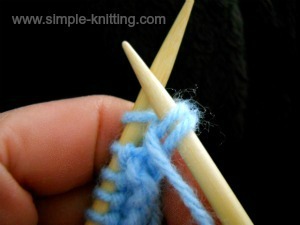 Notice that with the purl stitch the right knitting needle is in front of left needle. With the knit stitch the right needle is behind the left needle. Now, with right needle and yarn still wrapped around it, slowly slide it down back through that first loop on left needle. Drop this first loop on your left needle. That stitch was just worked (the new stitch is on the right needle)so slide it off the needle. Just keep sliding the loop on the left needle off as it has been worked. The new purl stitch now sits on the right needle. 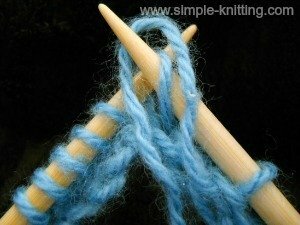 To help you along, I have chosen two excellent purl knitting videos, using the English style and Continental style. So would you like to keep practicing? Great! Here's a little practice knitting pattern. Continue knitting row 6 and 7 until you have a square or as long as you like it to be. This little purling knitting pattern can also be your first practice dishcloth. Or would you like a super easy knitting pattern? 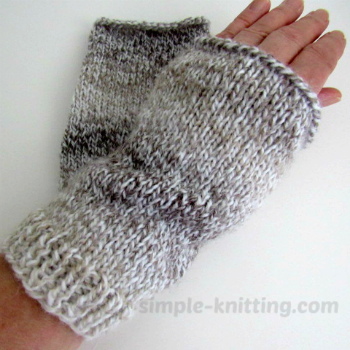 If you'd like to continue practicing Stockinette stitch I made these beginner wrist warmers. They're fast and easy and you'll have something to keep your hands and arms toasty warm. This easy pattern is great for men too. Hope you like them.